One of the biggest problems I see in student writing in my creative writing classes has been the failure of the student not to explain within the confines of the story just what the story adds up to for the reader. It’s the difference between that old phrase, show don’t tell. Sometimes we need a little bit of both. Flannery O’Connor said, “You tell a story because a statement would be inadequate. When anybody asks what a story is about, the only proper thing is to tell him to read the story.” However, O’Connor doesn’t address why we sometimes hate, and sometimes love, ambiguous endings. A piece of commercial fiction usually does not leave the character’s motivation in doubt. This may be a gross oversimplification but such a piece of writing is usually going to great lengths to tell us what the character is thinking and feeling the entire time and ultimately why. Wait! There are some wonderful books that end in ambiguity, you say! Sometimes ambiguity leads the reader to ponder the story as a whole. For example, in Great Expectations, Dickens ends the novel with Pip saying, “I saw no shadow of another parting from her.” What does it mean? Does he walk off into the sunset with Estella? Or, is it over with her for good? If the reader doesn’t know what is at stake, then it’s likely the writer doesn’t either. My advice to the young writer is don’t make the reader do all the work as you write your story. Create a story with intention and the reader will be sure to understand your ending, whether it’s explicit or hinted at implicitly. 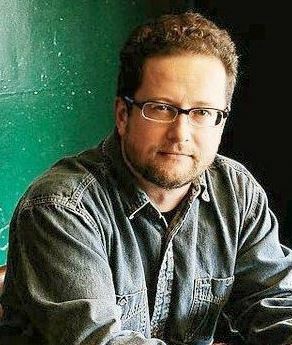 ABOUT DAREN: Daren Dean is the author of Far Beyond the Pale. His fiction, nonfiction, poetry, and interviews have appeared or are forthcoming in BULL, The Green Hills Literary Lantern, Missouri Life, The Oklahoma Review, Midwestern Gothic, Ecotone, Image, Chattahoochee Review, Fiction Southeast, Story South, Aries, and others. His story “Bring Your Sorrow Over Here” was selected as Runner-up by Judge George Singleton in Yemassee’s William Richey Short Fiction contest and another story, “Affliction” was a Finalist in the Glimmer Train Short Fiction Contest for New Writers in 2012. He holds an MFA in Creative Writing from the University of North Carolina at Wilmington. Dean also worked for several years at the University of Missouri Press. Currently, he teaches creative writing and literature in the English department at Louisiana State University. Check out his book here.